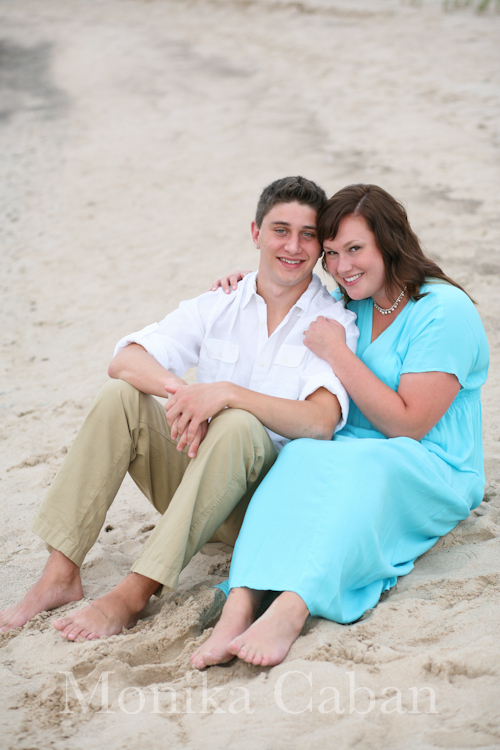 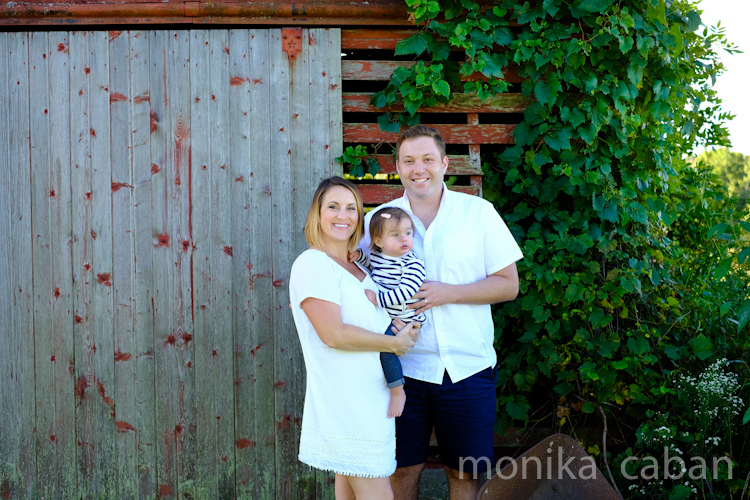 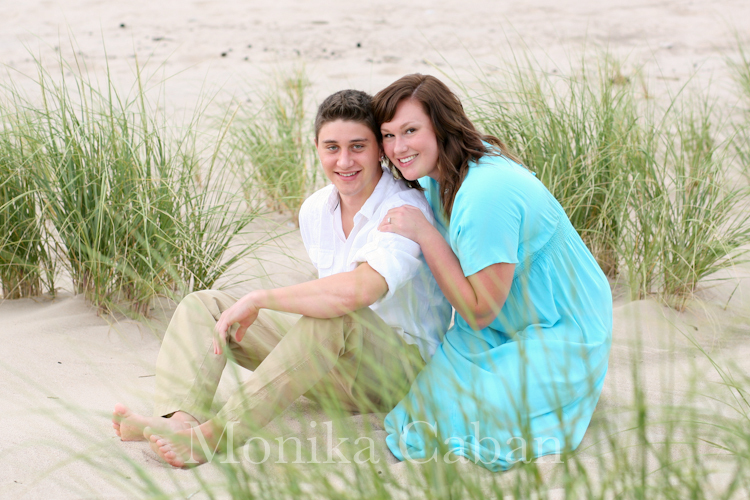 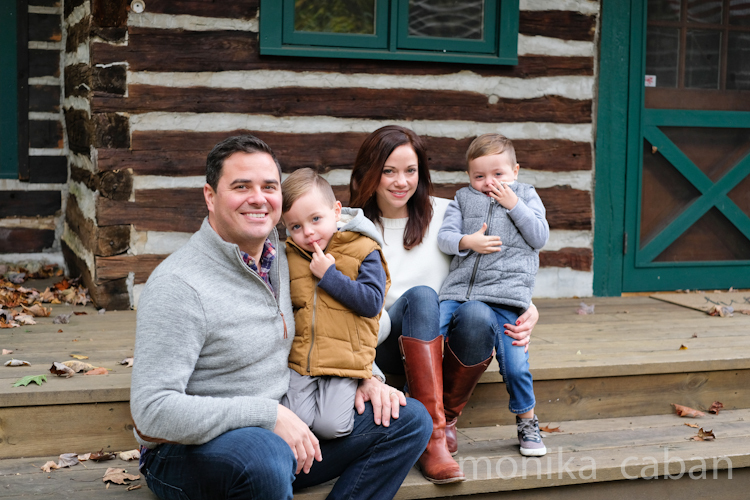 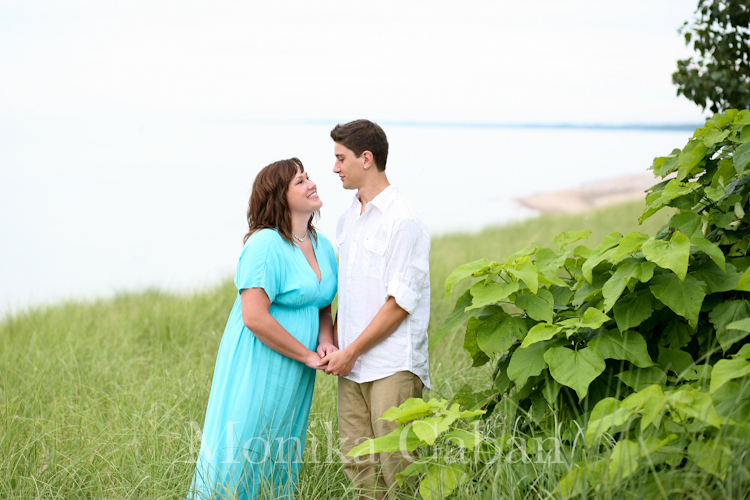 Anneliese and Nate are a recently engaged couple planning their wedding in 2014 in New Buffalo. 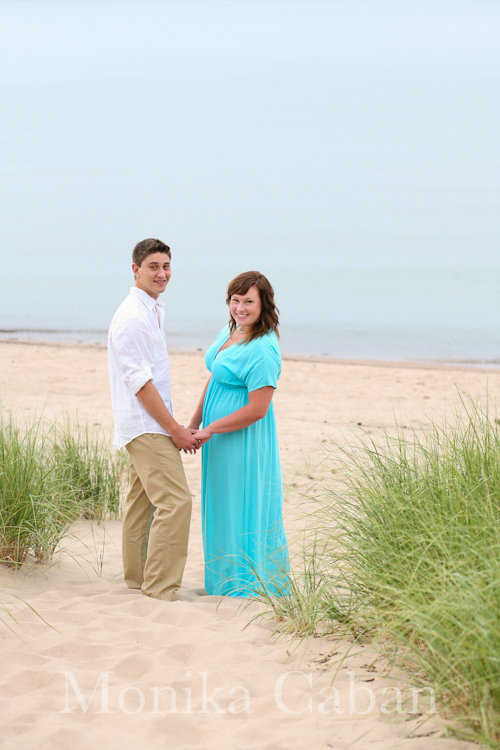 They live in Arizona and they are spending their summer in Michigan. 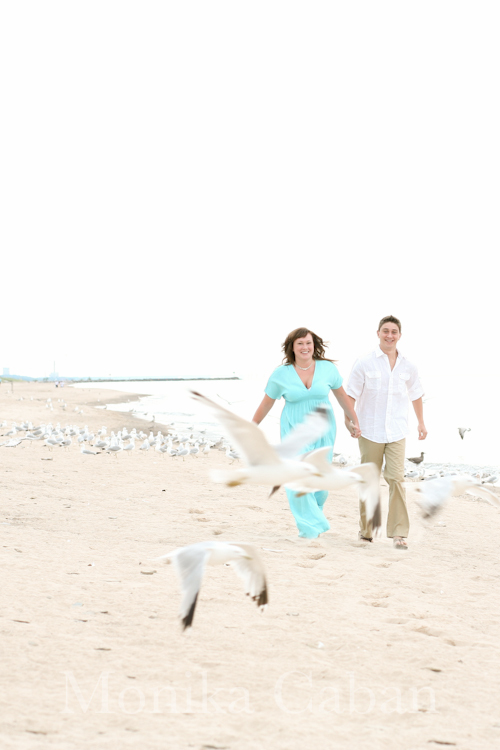 Anneliese is a swimmer and they both love the beach. 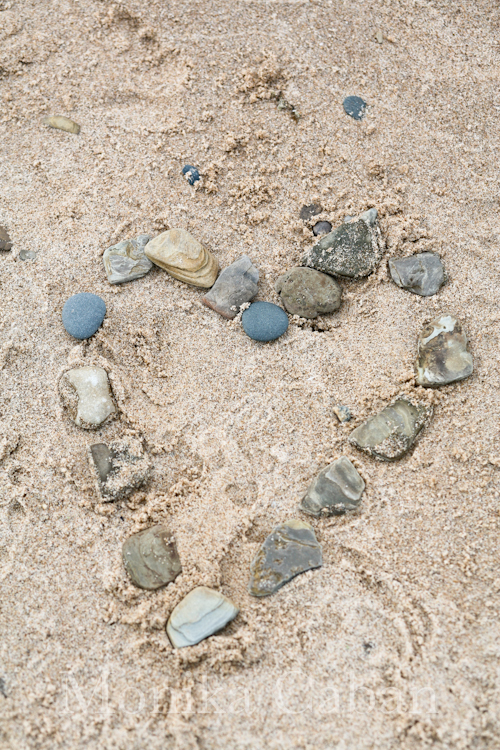 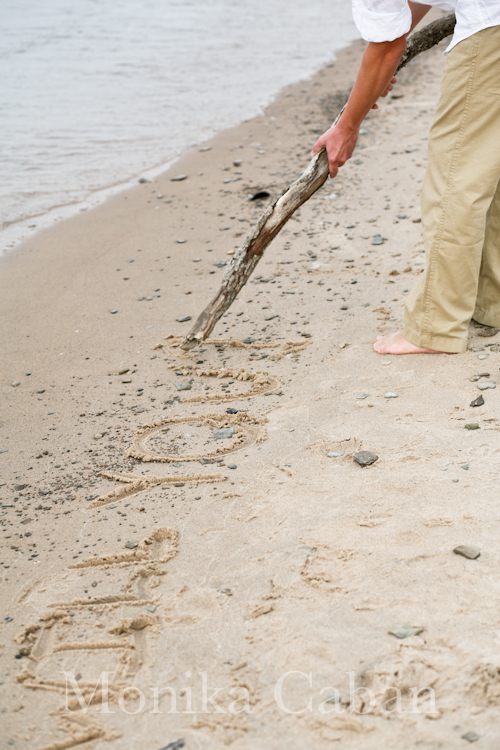 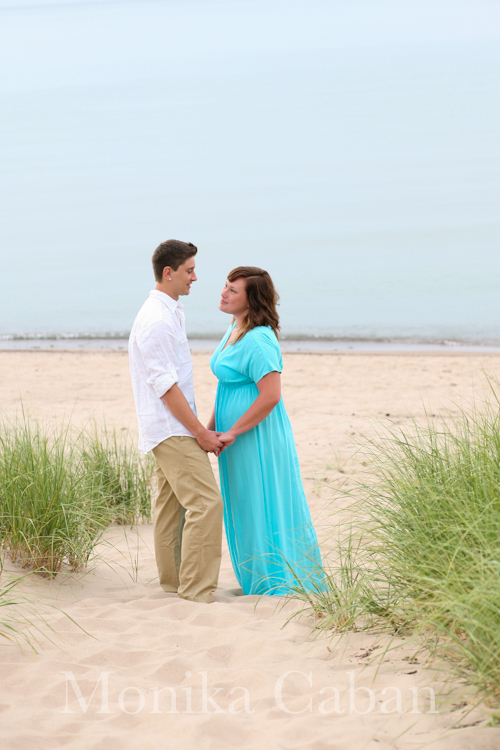 Because they miss the lake Michigan while in Arizona, we had to get the engagement photos done on the beach off course. 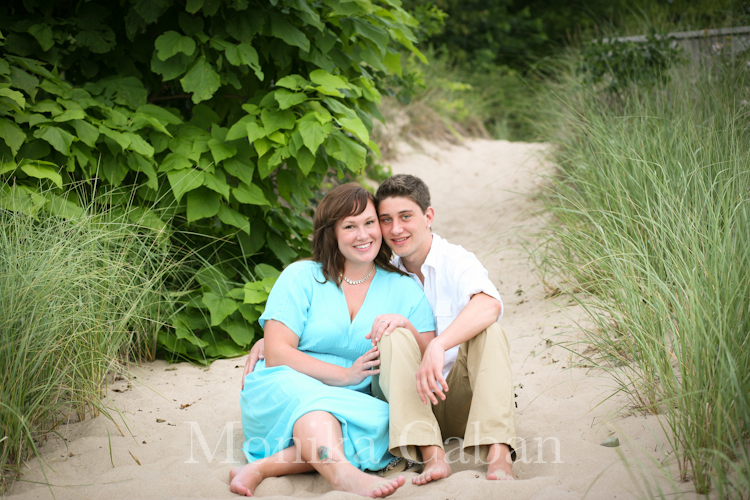 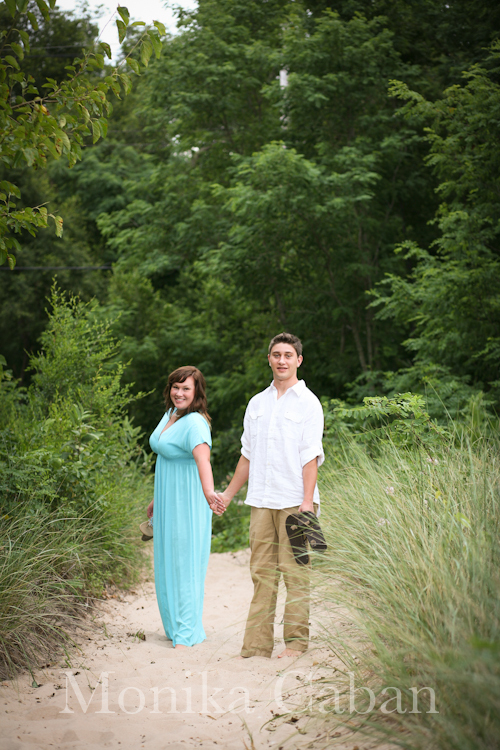 Anneliese and Nate are a cute couple, very much in love and we had a fun during the photo shoot. 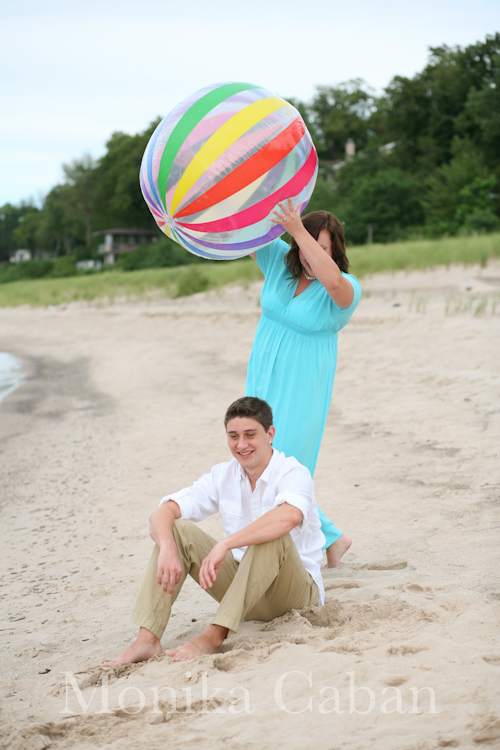 One memorable moment was loosing the colorful beach ball they brought with them. 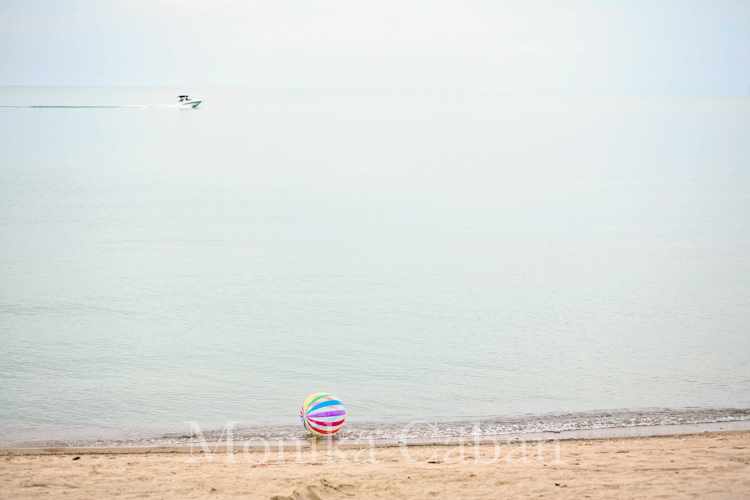 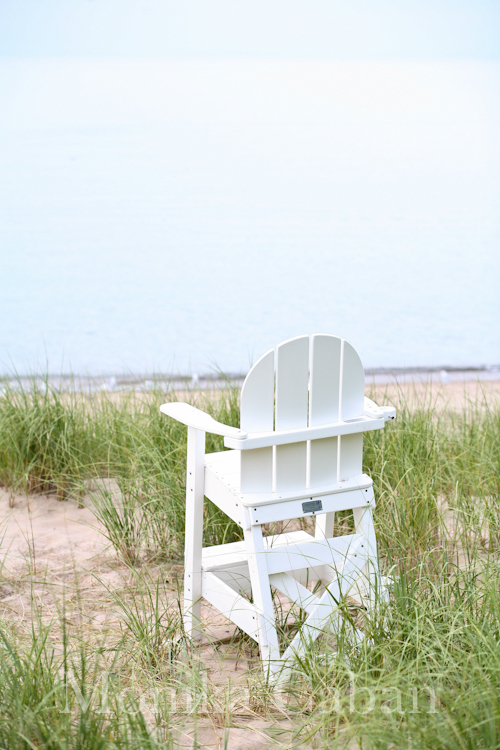 While we were having fun with the photos, the beach ball quietly rolled down the beach and into the water, and then slowly drifted away on the perfectly peaceful lake towards Chicago. 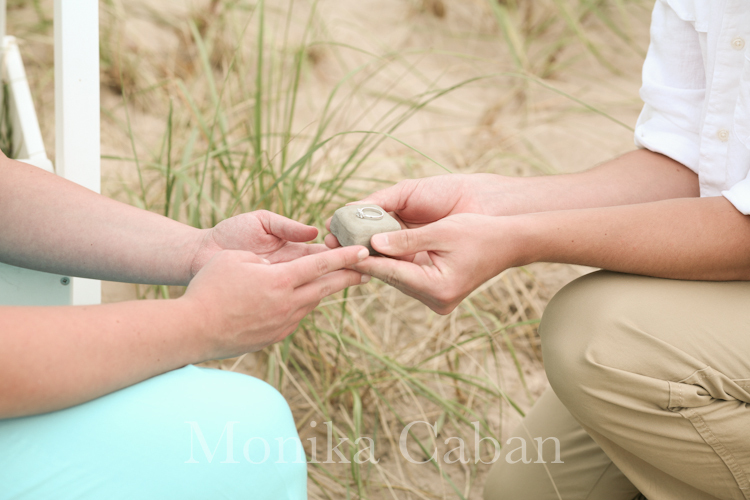 Too bad we did not put a note into a ball, or a wedding invitation. 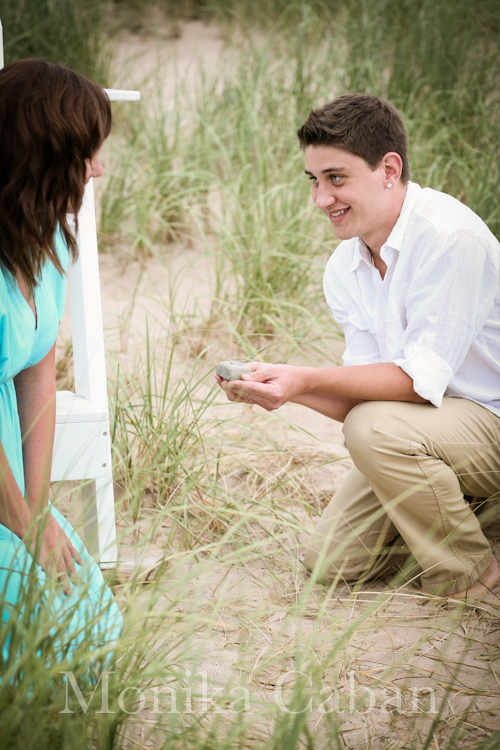 Nate was very sweet and creative as well. 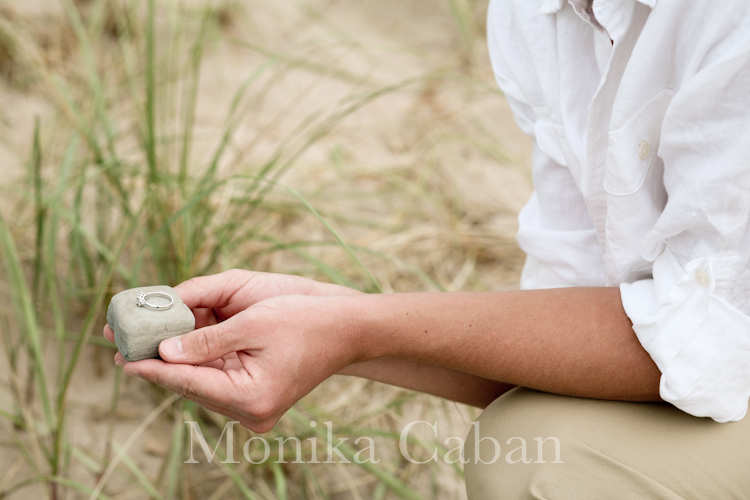 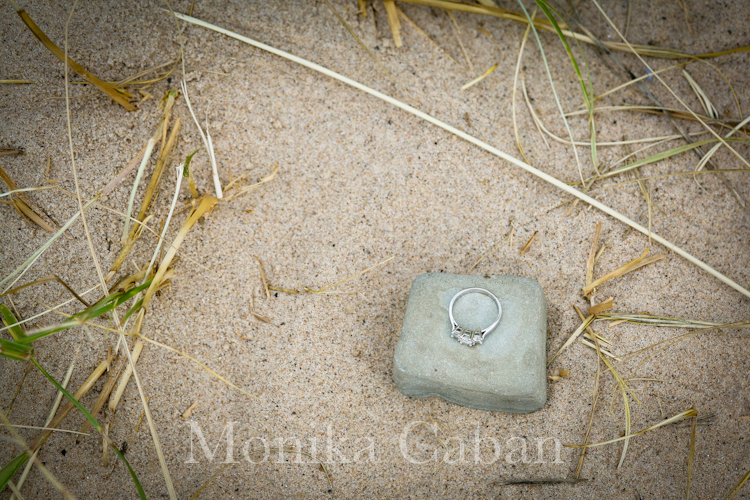 He found this adorable little jewel box, not a blue Tiffany box, something better, a rock shaped like a perfect little jewel box. 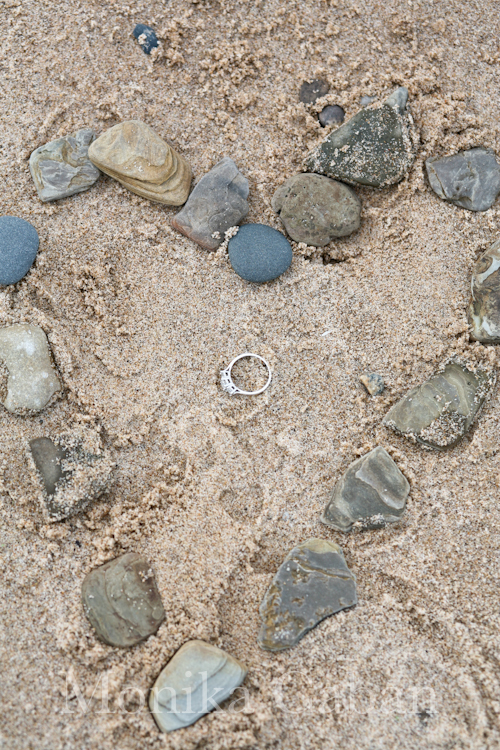 What a charming and appropriate ring presentation for a beach engagement.